Living in Joy Part 5: Gratitude and Appreciation – Late joining this series? Catch up from the beginning with Part 1 or from last week’s Part 4! In today’s installment of Living in Joy, we are focusing on the healing properties of gratitude and appreciation. Love, Joy, Gratitude, and Appreciation are the highest vibrations we can attain. By focusing on expressing gratitude and appreciation in our lives, we will call more joy into our lives and have more in our lives over which to further express gratitude and appreciation. It is a beautiful upward spiral of goodness and grace. I’m including some excerpts from my book, “On a Path of Joy” Volume One, to further enhance this message that, indeed, you are a beloved child of the Divine and worthy of living a life of joy. May this article bless your heart with so much love and encouragement. This installment in the Living in Joy series offers some ways or the “how” to further cultivate more gratitude and appreciation in our lives. “Beginning the day with a thankful heart is a wonderful way to set the tone of your day, beloved one. You can set a bedtime intention the night before to ask your angels to allow you a peaceful night’s rest and to awaken with a heart full of gratitude. When you awaken, choose your first thoughts of the day wisely as they set the tone of your day. A wonderful greeting for the day is “Thank you God for the gift of today.” This is so much better than thinking “Oh no, I’ve got to do… today.” Focusing upon gratitude allows it to expand. The more we focus on gratitude, the more we discover that for which to be grateful. It is a beautiful cycle of abundance. What are three things you can be thankful for right now? Today I choose love. What a wonderful mantra for the day, any day, every day. How often do we wish we were treated lovingly? How often have we regretted an instant when we did not choose love and reacted with anger, rage, hatred, indifference? The choice is ours. We can choose a higher feeling; that of love. 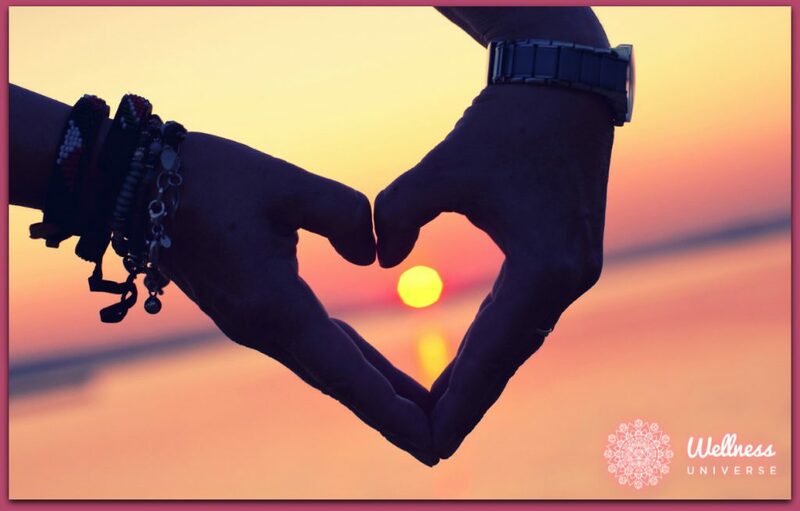 When confronted with a choice, take a split second before responding and remember the mantra, “Today I choose love.” I believe you will be blessed beyond measure if you repeat this mantra several times during the day, dear one. While walking down the hall at home or work you can silently recite “Today I choose love.” While walking down the street, at the grocery store or at your next appointment recite “Today I choose love.” You can’t go wrong. Love is always the answer, no matter what the question. This is a wonderful affirmation to recite each day upon arising. An affirmation is positively stating the desired outcome to come your way, to believe and declare it to be true (even if it doesn’t feel possible at the moment.) I awake each day with joy in my heart. And so, it is. Having gratitude for the gift of the day leads to a better day. You may not always feel joy when you awake, but it is possible to program your thoughts so that you will awake with joy in your heart. What better way could we possibly begin the day? Each day truly is a gift; we know not when a day will be our last. Life is fragile and can change quickly. Valuing the gift of the day for the precious commodity that it enables our level of joy to increase. Remember that if this affirmation doesn’t ring true for you today, progress toward it feeling true is attainable by taking baby steps. Wrapping you in loving encouragement with this beautiful message that you are capable of living a life in joy by cultivating more gratitude and appreciation daily. Next articleAre You True Friends or Lovers?